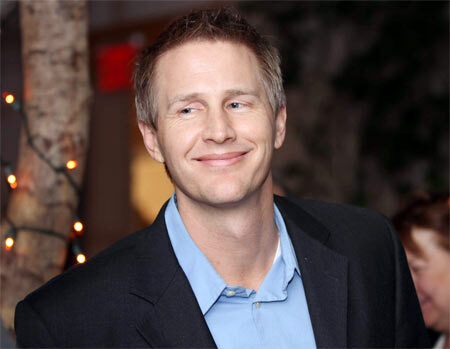 In conversation with Aseem Chhabra, Oscar-winning documentary filmmaker Sharmeen Obaid-Chinoy and Daniel Junge discuss the challenges of making a film like Saving Face in a country as complex and conflicted as Pakistan. 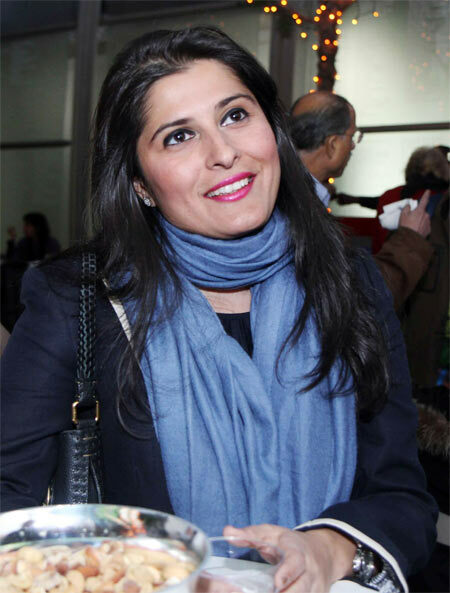 Sharmeen Obaid-Chinoy, who is just 34, is the first Pakistani to win an Academy Award, which she won for Saving Face. This remarkable, important documentary tracks a group of poor Pakistani women who have been victims of acid attacks by their husbands or other family members and follows British-Pakistani plastic surgeon Mohammad Ali Jawad's efforts to help these women with surgery. Though the women are almost always marginalized, they are also strong-willed and have the spirit to find justice for the wrong that has been done to them. About 100 acid attacks are reported in Pakistan every year. Many more go unreported. 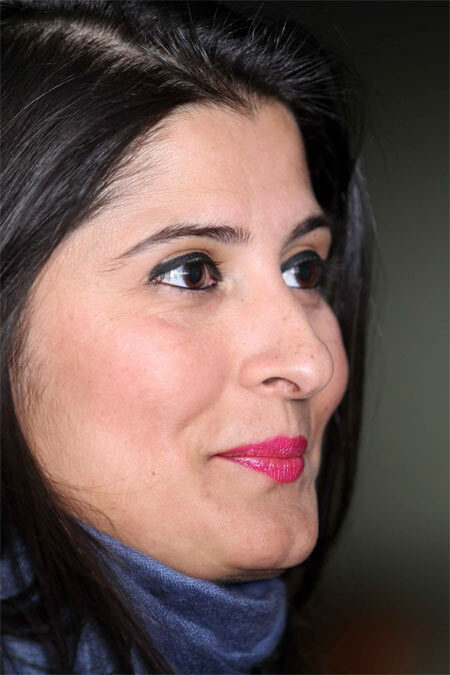 Obaid-Chinoy is a Karachi-based documentary filmmaker (she lives there with her husband Fahd Chinoy and daughter Amelia) whose work has always focused on social and political issues in Pakistan. 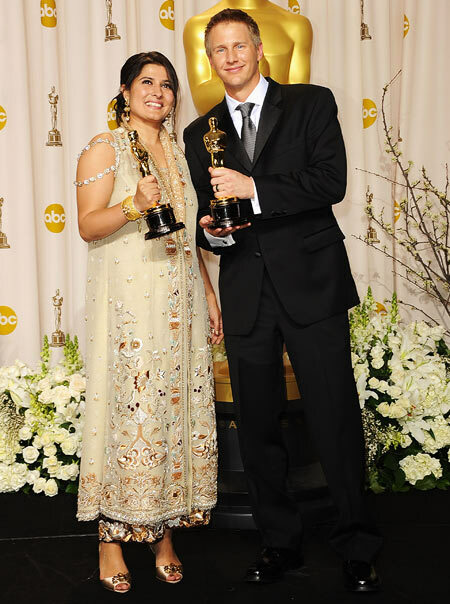 Obaid-Chinoy also won an Emmy for her film Children of the Taliban that focuses on Taliban recruitment tactics among Pakistani youth. Saving Face premiered in the US on HBO on March 8. There will be repeat broadcasts. Aseem Chhabra caught up with Obaid-Chinoy and Junge at an Asia Society event in New York City organized by HBO to celebrate their Oscar win. Sharmeen, you were well known for your work, but the Oscar takes you to another level. What has it been like? It's been incredible. And more incredible because I believed that this film needed a global voice and platform and the Oscar will give it that. (Like) the fact that HBO aired it on March 8, which is International Women's Day, and it's been picked up in the UK. It's a film that I hope will reinforce for Pakistanis that they can solve their own problems. The film moves people and it gives them hope that they can at least try and start a conversation about the problems, which is seldom done in Pakistan. But your films have been shown in Pakistan before. They have shown only at film festivals and private screenings. Never on television. Do you think Saving Face will get additional exposure? We need to first protect the women before we show the film. Our first priority is to launch an outreach campaign in Pakistan. We are creating public service announcements on radio and television and after that we plan to put the film out. You say protecting the women, but they are already there in the open speaking before the camera. We need to make sure that when we show the film in Pakistan the women are comfortable with sharing the story with Pakistan. What draws you to these subjects, this film now and in the past? You could have made feature films or soaps for Pakistani television. I think it is important to document a society and how it grapples with issues. Because it's only when you start to talk about the problems that you realize that you need to look inwards to find solutions. Did you feel that because of your privileged background and education (Obaid-Chinoy is a graduate of Smith College and Stanford University, from where she earned two masters -- in international policy and in communications), you need to help those who are disadvantaged? The onus is on people like me more than ever to bring about change, because we are the educated Pakistanis. If we don't do it, who else will? The film came about because Daniel heard Dr Mohammad Jawad (who works at Chelsea and Westminster Hospital, London) on a British radio station talking about helping Katie Piper, the British model who had acid thrown on her face in London (Piper was attacked by an ex-boyfriend and has since produced a documentary Katie: My Beautiful Face). So Daniel decided to join him in Pakistan. He got in touch with me, because he wanted to partner with someone on the ground. This story could only be told if a Pakistani was involved. Daniel: I knew about the phenomenon of acid attacks in South Asia, but I wasn't just ready to go there to make a film. But when I heard Katie Piper say 'My hero is Dr Mohammad Jawad,' that just clicked. Yes, being a woman and also because I had done this kind of work before. What was it like approaching the women and getting them to speak (the film was shot in Rawalpindi, Islamabad, Karachi and the Seraiki belt). But some of them -- like the protagonist Zakia -- were really willing to speak about it in front of the camera. You know, it was hard to manage their expectations. Because throughout the film, while they were getting their surgeries done, they kept thinking they would once again become what they were before the acid attacks. 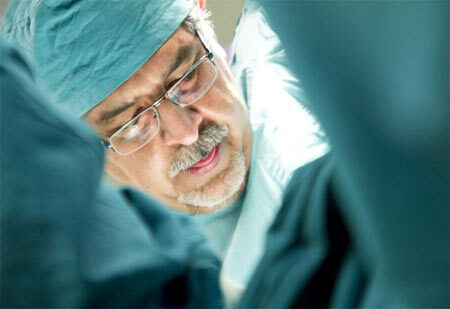 Dr Jawad kept saying 'I am not God. I can only do as much as a man can do.' That was heart breaking to watch. But they also knew that the stories they were sharing with you on the camera would be shown around the world, perhaps someday in Pakistan also. The women were very brave and I kept telling them that they need to speak up to be an example for everyone else. And they felt that responsibility. That moment in the film when the women are at the conference, and they all standing and laughing , it was so lovely, so special. It is special. You know when you watch the film, you realize that after all they are human. They are laughing, they are crying. They are mothers and daughters. And we wanted that to come out in the film. Daniel, how did you react to the situation there as a Westerner? Daniel: First and foremost Pakistan is perhaps the most complicated country in the world. There isn't one word to describe what going on there. It is an incredibly diverse and in some ways conflicted society. When I met the women, it was as horrific as I expected it to be. You have to switch off a part of your brain, otherwise you are not going to be able to do your job. You have to tell their story as best as you can. Were they comfortable in your presence? Daniel: I had the trust because I was seen as part of Dr Jawad's team. But the real sensitive stuff was shot by Sharmeen. Tell me about what was it like working together. This is the first collaboration for the two of you. Yes, it was wonderful. It was an incredible partnership. I couldn't have asked for anything better. He and I bring such different skill sets to the film and both of us had done incredible work in terms of international recognition. Together, we worked very well. Daniel made a couple of trips to Pakistan, but I was able to shoot in Pakistan and send him material in New York. Daniel: It worked really surprisingly, unbelievably well. I am really good at the front end and back of the films. She's good in those parts too, but she is also good in the middle part, being out in the field. There is so much in this film that would make me so conspicuous as a Caucasian man. I would not have added any benefit. She was so good at getting the intimacy necessary for the film. But the layer that you were adding, would you communicate with her about the footage? Daniel: Definitely we had a partnership to describe to each other what we need in terms of the story. She would tell me what she was shooting, she would send it and I would cut it and I would tell her if anything was missing. In fact, as quickly as we made the film, I don't think it would have been possible any other way. I realize this is tremendous work, bringing this story alive for the world to watch. But going on the stage at the Academy Awards, with Brad Pitt and George Clooney seated in the front rows. What was that like? Daniel: And backstage. We met Brad and Angelina and they were very nice. Sharmeen: She has been to Pakistan for her charity work and I gave her a screener of our film. Daniel: It was surreal, especially for documentary filmmakers like us who work in relative obscurity. Most of us work on social justice issues in far flung corners of the world, and then to be at the center of all this glamour, it was almost disconcerting, but not quite. We could get used to it! That night, did more people talk to you about the film? Daniel: Sure, I think people were particularly entranced by Sharmeen and her dress. It was mesmerizing. Sharmeen, had you thought that you would dedicate the film to the women of Pakistan? We talked about it, because it is a hopeful film and there are a lot of people working for change in Pakistan and it was important to recognize them, because they seldom get recognition. So I had a vague idea, but not the exact words or how they came about. I was just lucky that it flowed out. I am creating an animated series for children in Pakistan. On superheroes. Daniel: I have a number of films in the works -- shooting a film in Jamaica and another one in the US on Christianity and ultimate fighting, like cage fighting. And we hope to have more projects so we can work together again. What have you done with your golden statues, where are they sitting right now? Mine is in a suitcase in my hotel. You got it back and it has your name engraved on it? Daniel: Yes, they make five with the names of all the nominees. They throw out the ones that have not been used. People who have lost the Oscar race, they try to get them back, but you are not allowed. I know because I tried. 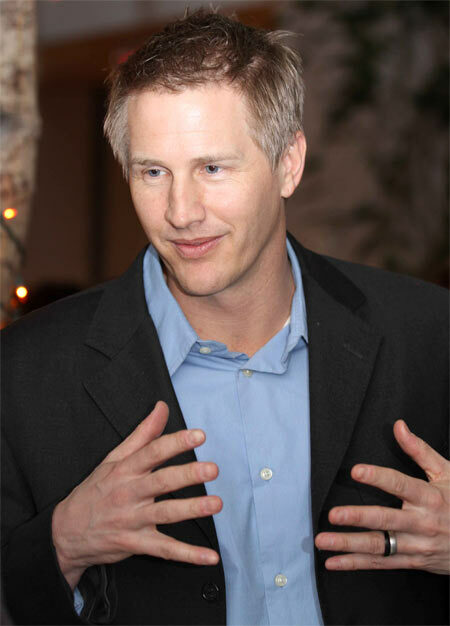 I lost two years ago (he was nominated for a short documentary The Last Campaign of Governor Booth Gardner). So what has become of your statue? Daniel: My daughter, who is four, is playing with it. It's her new toy. But she can't quite pick it up.